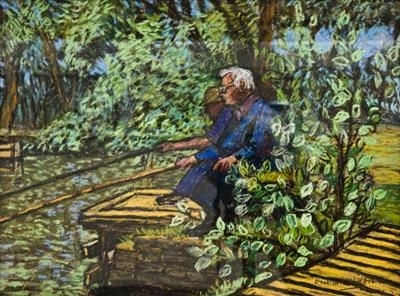 2 fishermen at Hurtwood Lakes, Surrey, England, in pastel. Please note, this has some glass reflection shown as it was framed before photographing. Also available as open edition Giclée print for £120 with certificate of authentication.